Microsoft Outlook is a flexible email client that can be used on Mac as well as on Windows. It creates the different type of file format ie, OLM in Mac and PST in Windows. It is noticed that many users import OLM files into PST files easily. The Outlook 2011 was introduced for Mac users which specifically stores the data file in the OLM file format. Its purpose, working features and usage is entirely similar as of Windows Outlook. It is different in terms of file format only. But when it comes to open OLM file of Mac Outlook in Windows Outlook it is unsupportive. Hence users left with only one solution and that is OLM to PST Conversion. For example, If a user has switched from Mac to Windows then it will be difficult to open OLM files in window's version. In this blog, I have brought to you some effective ways to open OLM files of Mac Outlook and export them into Windows Outlook PST File. Before using the manual approach for OLM to PST Conversion, you need to locate the physical OLM file. By default, OLM can be found on these two below mentioned system locations. Step 1. Click on File and then select Export from the drive location. This way you will intend to open a new Export window. Step 2. Select entire data which is displayed at the location. Step 3. From the given options, Check "Do not want to delete item"
Step 4. Now go to Save As option, select the destination location. Click save. Tip - IMAP Server will work here as an intermediate between Mac and Window Outlook. This method is quite similar to use it as a storage device between two computer system for copying the existing files. 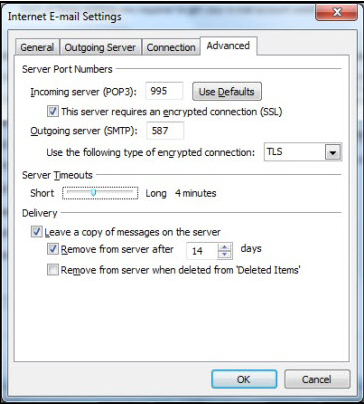 Since IMAP server can receive remote files therefore, it is used more wisely. 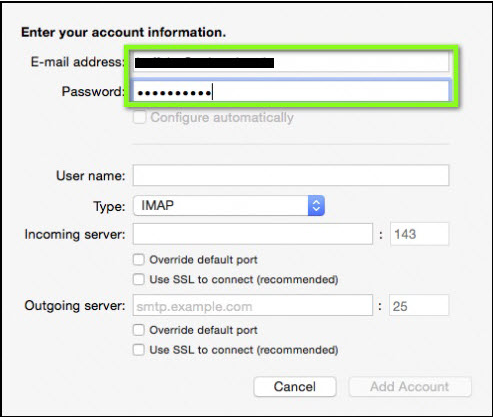 Select Incoming server as "imap.gmail.com"
Once uploading gets completed, Refresh your account. 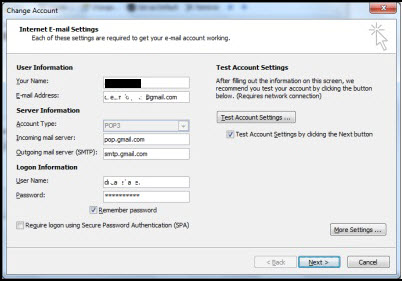 Select the Incoming server to be "imap.gmail.com"
Select Outgoing server as "smtp.gmail.com"
Select "more settings", then in Outgoing server tab choose, "My Outgoing server requires authentication"
In the "Advanced" tab, enter Incoming Server Port as "993"
Select encryption type as "SSL"
Now, Select "Test Account Settings" and click on "Finish"
Sign in to Gmail account and click on "Settings"
In "IMAP Access" select "Enable IMAP"
The above mentioned manual steps are quite lengthy and complex method which will be tough for non-technical users. Hence to export OLM files in PST format in a simple, easy and risk-free method to use the third-party tool. 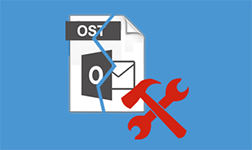 Thus to Export Mac Outlook in Windows use OLM to PST Converter tool. 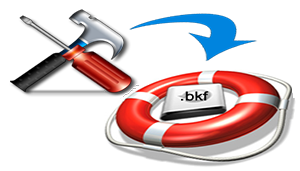 It will convert OLM files into PST file format safely and securely without harming the original data. It let users to search any specific file directly from the search bar and users can preview the files from the tree structure panel and confirm the recovery done is successfully done or not. 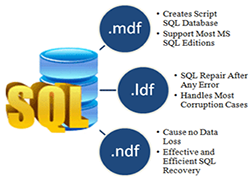 Before selecting any above-mentioned method never forget to take backup of your data files. Also, it is clear from the manual method described here that it required some technical knowledge because of it completely tricky. One wrong selection then entire data can be a loss. Yes, it is free of cost but yet time-consuming. Therefore select that method which is best suited for you.